I’ve never been fortunate enough to meet Roger Ebert, but I grew up watching him and Gene Siskel review movies on Sneak Previews on WTTW Chicago, which predated the success they eventually found on Siskel and Ebert. Ebert was, after all, a Chicago man. Both my parents were movie buffs, and my father, being a science fiction nerd, immediately spotted Ebert as one of our own. Indeed, Ebert had something of a soft spot for the genre, with a tendency to give sci-fi films an extra star for being extra snazzy in the special effects department (which often helped if it lacked a star in the plot department, something Ebert was never remiss in pointing out). Roger Ebert, June 18, 1942 – April 4, 2013. Film critic, writer, journalist. You will be missed. Even as a child, it was apparent to me that Ebert not only loved film, he was knowledgeable about it to a staggering degree – how films were made, who directors were, what a particular writer’s quirks were, the history of a movie studio, the career trajectory of a producer, the progression of special effects technology, the difference between how a narrative worked in a novel and how it worked on film, the nuances of an actor’s performances over a lifetime of work – he knew it all and it all factored into his evaluation of a film’s merits. The obsessive degree to which I’ll want to learn about a film – who wrote it, who directed it, what was it’s genesis, what was the journey getting it from idea to spec to script to production to distribution like – is a direct result of watching Ebert and Siskel’s intense discussions about the films they reviewed on their shows. Ebert communicated his love for film and his criticisms in a straightforward manner that eschewed the kind of high-minded rhetoric one normally associated with film criticism. 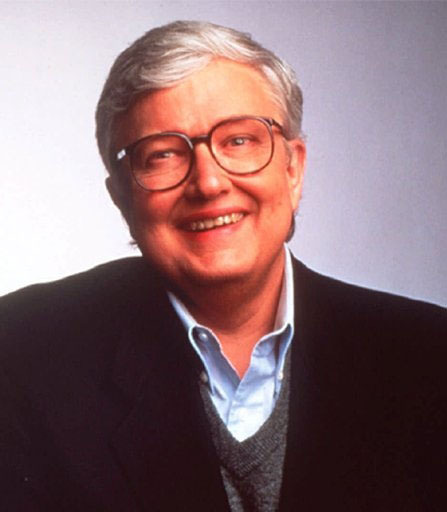 Ebert wasn’t a film critic because he liked to hear himself talk – he was a film critic because he loved a good story, loved to talk about what made a story good, and because he loved film. Ebert’s love for film for itself was evident. When a film didn’t work, it was obvious that his disappointment was based in part on his belief in the power of film as a storytelling medium. As far as Ebert was concerned, film could do anything and for a movie to fall short of its promise was a failure on the part of the people involved, not the medium itself. If a film didn’t work, he explained why, in plain language. If he loved a film, he was unapologetic about it. Ultimately, what mattered most to him was that a movie was entertaining, and you came away from an Ebert review knowing one thing: whether or not you were going to enjoy a movie. That straight-shooting style carried over into his work outside of film criticism as well. As an adult, I discovered Ebert’s web essays and was delighted to find that the depth of thought and keen analysis he brought to his film criticism extended to his examination of topics outside the film world. He embraced emerging technologies like Twitter instead of shying away from them. He was liberal and didn’t apologize for it. He called a spade a spade and wasn’t afraid to label stupidity and ignorance for what they were. It’s a damn shame that he’ll never get a chance to share any of those thoughts and insights and we’re all the poorer for his loss. Ultimately, it’s Ebert’s story, his humanity, that bewitched us, and caused us to step outside of our safely sealed away separate containers, if only for a few moments, every time he poured a little bit of himself into his work and shared it with us. And that’s been a gift beyond measure. So thank you, Robert Ebert, for all that you’ve given us. It’s been a privilege and an honor. This entry was posted in TV/Film by Michi Trota. Bookmark the permalink.